The 2019 WTCR – FIA World Touring Car Cup presented by OSCARO is set for a showdown in Sepang after Malaysia was added to the 10-event, 30-race schedule for the upcoming season. Home of the Malaysian Formula One Grand Prix from 1999-2017, the Sepang International Circuit will host the WTCR OSCARO season two super-finale in 2019 as part of an exciting double-header with the FIM Endurance World Championship for motorbikes. Given the seal of approval by the FIA Touring Car Commission at a meeting in Paris on 6 November, the calendar was ratified by the FIA World Motor Sport Council, which sat in St Petersburg today (5 December). It offers an exciting blend of high- and medium-speed permanent circuits, plus challenging street tracks. Kicking off in Morocco, WTCR OSCARO season two then features stops in Hungary, Slovakia, Netherlands, Germany, Portugal, China, Japan and Macau with Malaysia hosting the season finale. The all-new WTCR Race of Malaysia will form a fitting climax to what promises to be another all-action season of the WTCR – FIA World Touring Car Cup presented by OSCARO. 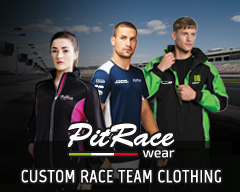 It will also run to a unique format with one of the three races taking place under floodlights at night. With the Malaysian capital Kuala Lumpur on its doorstep, the Sepang International Circuit will represent a new challenge for the bulk of the WTCR OSCARO racers, while its 5.54-kilometre lap, two long straights to enable more overtaking and a variety of medium and high-speed corners is sure to create an impressive and memorable spectacle. “We are delighted to include Sepang on the WTCR OSCARO calendar for 2019,” said François Ribeiro, Head of Eurosport Events. “Forming the deciding rounds of season two, the inaugural WTCR Race of Malaysia promises to be a very exciting addition to the schedule with the prospect of some great racing, including at night, at a venue untried by most WTCR drivers. The date of WTCR Race of Malaysia will be communicated shortly. Marrakech continues as the curtain-raiser: The Moroccan city of Marrakech will continue to host the season opener at the semi-permanent Circuit Moulay El Hassan from 5-7 April 2019. The home event of WTCR race winner Mehdi Bennani has a long history of spectacular action. Classic venues provide exciting challenge: Several classic venues feature on the 2019 WTCR OSCARO calendar. Circuit Zandvoort, which sweeps through the sand dunes of the North Sea coastal town west of Amsterdam, welcomed 110,000 fans to the first WTCR Race of Netherlands last May and returns from 17-19 May. 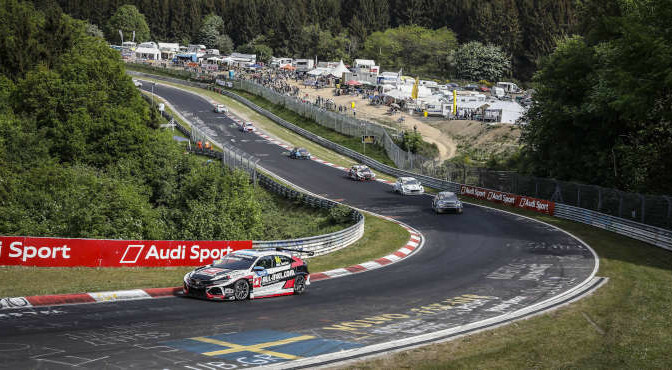 The Nürburgring Nordschelife, the world’s longest and toughest race track at 25.378 kilometres, follows during Germany’s biggest motorsport event, ADAC 24h-Rennen week in June, with Vila Real’s ultimate street course next up from 5-7 July, a week later than in 2018. Following the trip to Portugal, Japanese Grand Prix venue Suzuka (25-27 October) and Macau (14-17 November) complete the list of classics. Suzuka will also stage the Super Formula finale – Japan’s premier single-seater series, while Macau was the setting of the thrilling 2018 season showdown and is ranked as the most challenging street track on the planet. And there’s more… The Hungaroring, close to Hungary’s capital Budapest, brings WTCR racing to the masses from 26-28 April with thousands expected to fill the grandstands to watch home hero Norbert Michelisz in action. WTCR Race of Slovakia is next from 10-12 May when fans will get treated to action on four wheels as well as two via the FIM Endurance World Championship. China time: WTCR OSCARO will once again visit China, the world’s largest car market. Ningbo, which is owned by the Geely Group – the parent company of new WTCR customer racing brand Lynk & Co – gets the honour of hosting the action from 13-15 September. Despite the low spectator attendance in 2018 due to race day being declared a working day ahead of the Golden Week celebrations at short notice, the venue proved to be a great track for touring car racing.